Welcome to the website for Signature Place at Garfield, a condominium community where townhome living is enjoyed by all its residents. Signature Place is conveniently located in the City of Garfield with easy access to major highways, Plauderville train station (1 mile), New York City (12 miles), plenty of shopping centers, movie theaters and restaurants. Directly across the street is the newly developed River Walk Park complete with walking path, bicycle path, small playground and an observation deck overlooking the waterfalls of the Passaic River. This website is designed to answer homeowners frequently asked questions and provide information on all aspects of Signature Place, including rules and regulations, pool hours and clubhouse rental. Signature Place offers a beautiful 2,100 square foot clubhouse complete with lounge area, meeting room, prep kitchen, exercise room, WiFi and pool table available all year long. During the summer months, the residents of Signature Place are able to enjoy the use of the pool and its surrounding area which includes a beautiful pergola for shade. 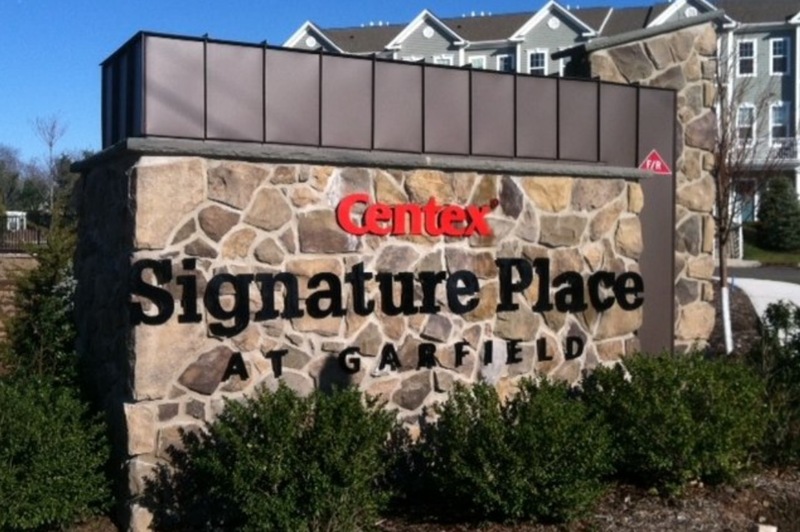 Signature Place at Garfield is managed by Cedarcrest Property Management which is located in Fairfield, NJ. If you have any questions or need to bring something to our attention, please follow the links to Cedarcrest or any of our Board members. Please login for more detailed homeowner information and options.